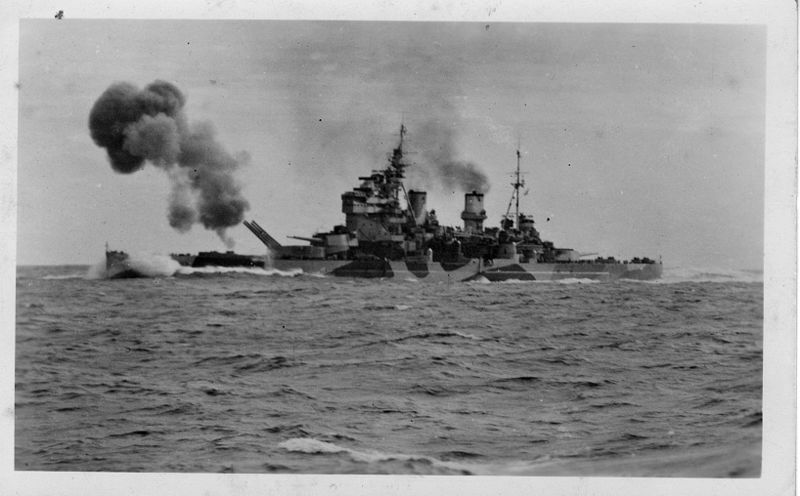 It has been a very busy couple of days so I am reaching back deep into the archives to re-post an old article about the British King George V Class battleships of the Second World War. These ships and their brave crews were of great importance to the Allied cause. Sadly, like so many great ships of that war all the surviving ships were scrapped due to measures of austerity and obsolescence and none preserved to honor their service or crews. 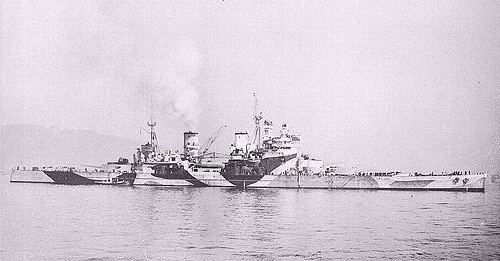 This is the third in a series of five articles on the battleships built under the provision of the Washington and London Naval Treaty limitations in the 1930s. I am not including the ships which were completed in the immediate aftermath of the Washington Treaty limitations. This series looks at the modern battleships that the World War II combatants would produce in the 1930s which saw service in the war. 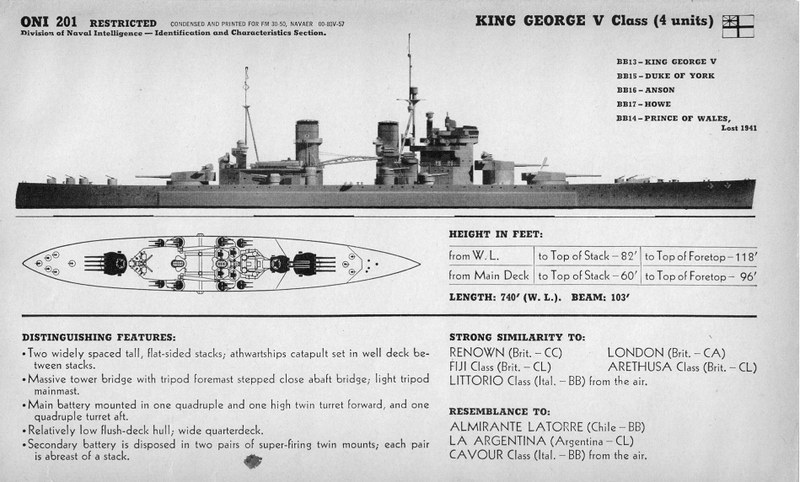 This article covers the British Royal Navy King George V Class battleships. 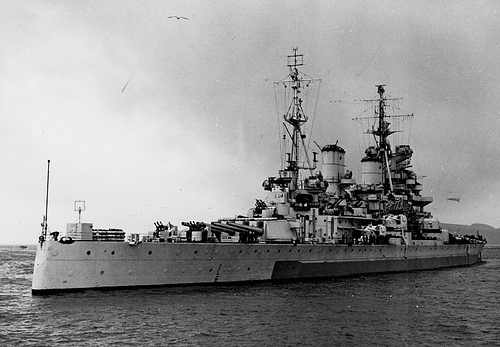 Part one covered the Italian Vittorio Veneto class entitled The Pride of the Regina Marina: The Vittorio Veneto Class Battleships. 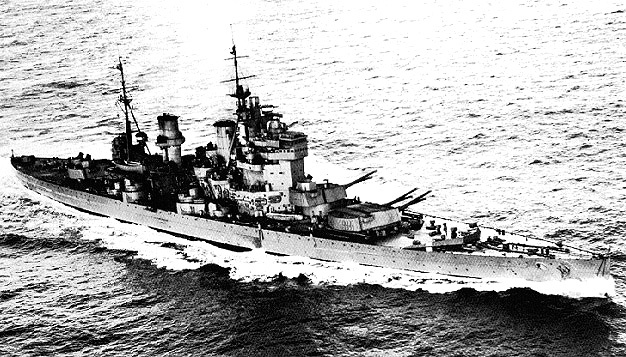 Part two French Firepower Forward: The unrealized potential of the Dunkerque and Richelieu Class Battleships covered the French Dunkerque class and Richelieu class Battleships. Part Four the American North Carolina and South Dakota Classes. 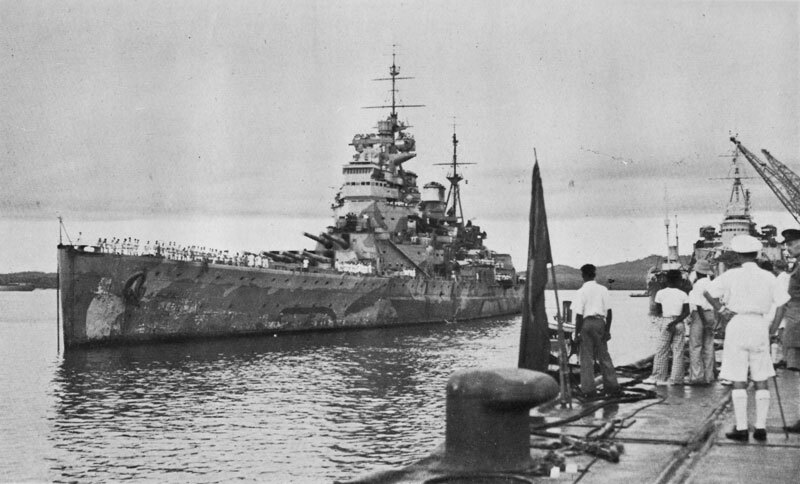 I have already published the final part which covers the German Scharnhorst Class entitled Power and Beauty the Battle Cruisers Scharnhorst and Gneisenau. The German Bismarck, Japanese Yamato, British Vanguard and American Iowa Classes will be covered in a subsequent series. The Royal Navy began planning for a new class of battleships in 1928 but the plans were shelved with the signing of the London Naval Treaty which continued the “building holiday” on capital ship construction as well as size and armaments until 1937. 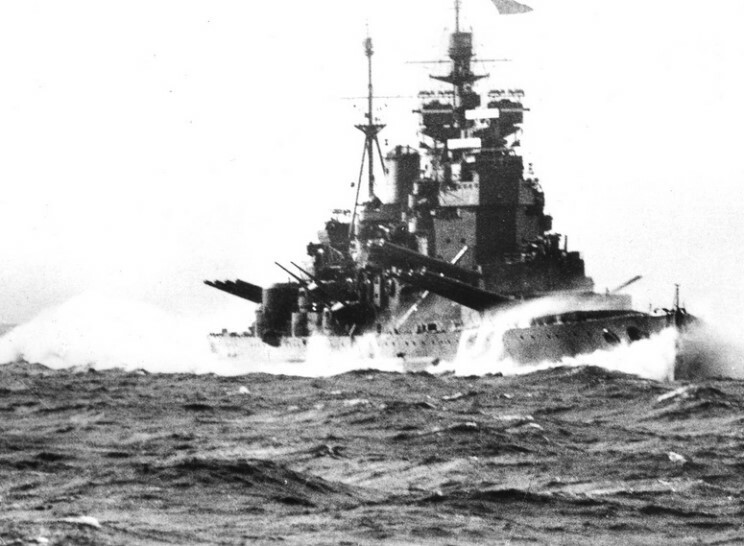 With the realization that its battle force was becoming dated as other nations laid down new classes of battleships the Royal Navy recommenced planning in 1935. The Navy planned to build to the maximum of the 35,000 displacement limitation and placed a great measure of emphasis on armor and protection. 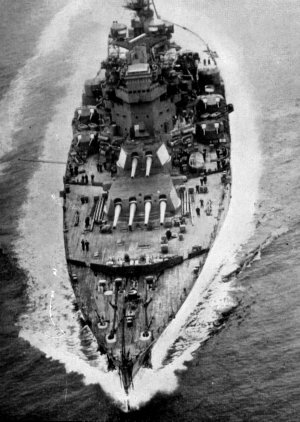 The ships were designed to achieve a 28 knot speed which made them faster than all British battleships although slower than the Battlecruisers. The planners had alternative designs to use 14”, 15” or 16” guns with the Navy favoring the 15” models which had equipped all of their other ships with the exception of the Nelson’s. 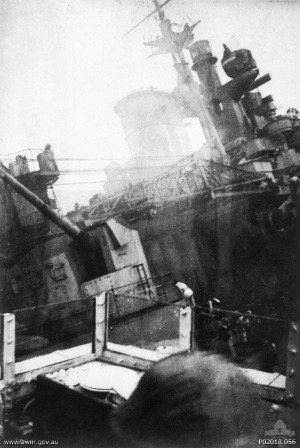 However the Admiralty to use 14” as the government was endeavoring to negotiate with other powers to impose a 14” limitation on armament for new battleships. 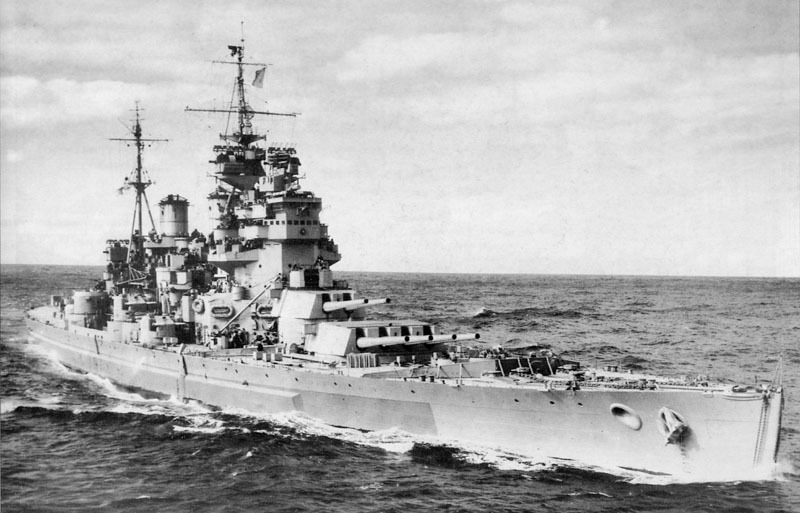 While the Americans and French agreed to the limit neither the Japanese nor Italians followed suit and as a result all new battleships of other powers had larger guns than the King George V Class ships with the French and Italians opting for 15”on the Richelieu and Vittorio Veneto Class, the Americans 16” on the North Carolina, South Dakota and Iowa Classes and the Japanese 18” guns for their Yamato Class. The Germans who were not a signatory built their Scharnhorst Class with 11” although they were planned as 15” ships and would equip the Bismarck Class with 15” guns. 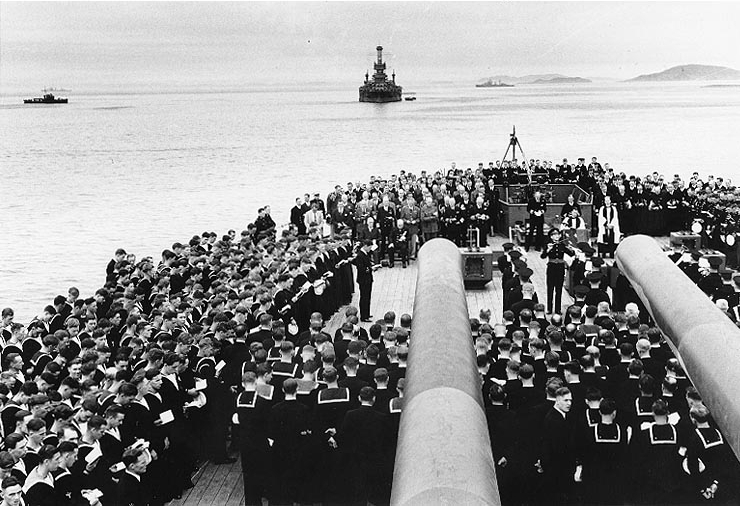 The Royal Navy attempted to rectify this by placing more guns on the ships than those of other navies but the planned armament of twelve 14” guns mounted in quadruple turrets but this was impossible on the 35,000 platform without compromising protection or speed. 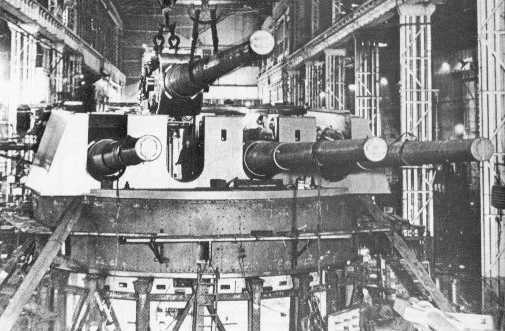 Thus the Admiralty compromised on 10 guns mounted in 2 quadruple and 1 twin turret. The last of the class the Anson was laid down 20 July 1937, launched 24 February 1940 and commissioned on 22 June 1942. She operated in the Mediterranean and the North Atlantic and was sent to the Pacific in 1945 where she accepted the surrender of the Japanese Forces at Hong Kong. She returned to Britain and was decommissioned in 1951 and scrapped in 1957. David K. Brown , who eventually became Deputy Chief Naval Architect of the Royal Corps of Naval Constructors commented that he would have fancied the chances of one of the KGV class against the Yamato ! I suppose Allied radar and fire control at a certain period of the war would be a significant reason behind this comment.